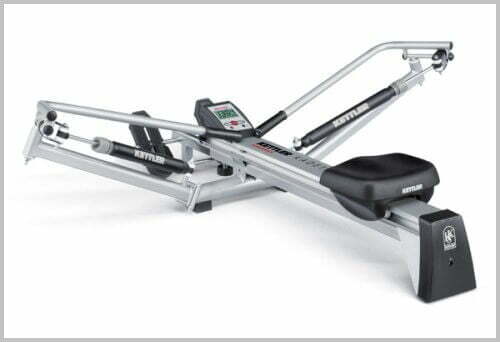 Kettler is a German company that has been manufacturing Rowing Machines since 1994. Kettler Kadett Rowing Machine is one of the best rowers of this company. The company has all sorts of rowing machines from low-range to high. 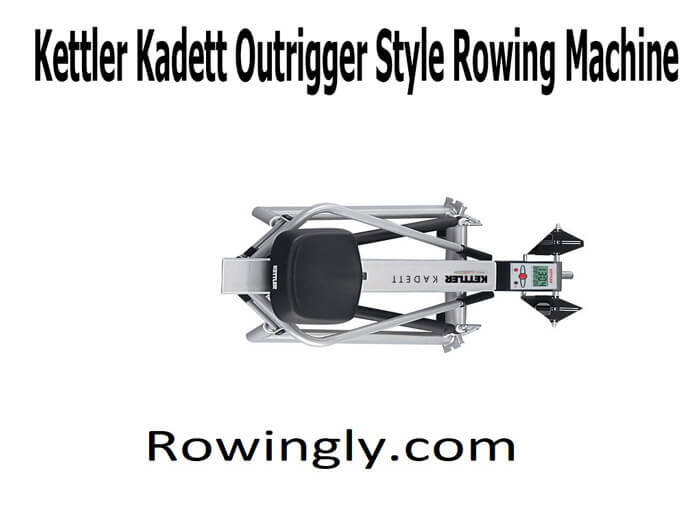 Kettler Kadett Outrigger Rowing Machine is one of the mid-range rowers with great features. The rower offers you quiet workout with the hydraulic resistance system. Also, it has an affordable price to suit your budget. The noiseless rower can be of help for the senior citizens that often seek quiet exercise machines. In the following review of Kettler Kadett Rowing Machine, we shall be discussing few of its prominent features and more. 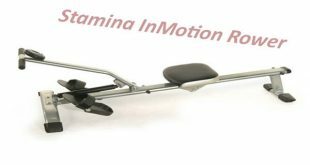 Kettler Kadett Rowing Machine shows hydraulic piston rower Which one of the best! Unlike many other exercise equipment, this rower from Kettler comes with a steel frame which is coated with carbon. The sturdiness of the steel will make sure that the machine withstands the shocks of exercising for long times. The construction of the machine helps to mimic the actual rowing action. The arms of the machine are specially made to comply with the resistance program. This is another feature of the Kettler Kadett Rowing Machine. The Resistance system is hydraulic. The pistons are positioned right beneath the seat and people need to turn a knob to change the resistance. There are as many as 12 levels of resistance present. People can configure different levels of resistance for each arm. The rower gives you sculling like motion that helps you to build your stamina and body fitness. It's Outrigger style and hydraulic piston rower with 250-Pound weight capacity. The display monitor of this device is used to monitor all your vitals during the time you exercise. It keeps a close eye on your calorie burning, the time you take to complete the strokes, the stroke count and even the pulse rate of yours. People can use the earlobe to monitor their heartbeat here. There is also an option to use a chest strap to monitor the heartbeat. The seat is cushioned well for the rowing sessions you might have. This is perfect for those extensive rowing sessions. The monorail slides really well under the seat. There can be a minor noise of the sliding but people can apply lubricants or oil to neutralize the noise. The Kettler Kadett Rowing Machine can be maintained very easily. It is priced at $599 and has an overall warranty of 3 years. This helps to ensure the quality of the machine. Mid ranged rower with amazing capacities. Hydraulic Resistance causes less noise. 12 Levels of resistance provides intense workout sessions. Ideal rowing machine for the elderly people. The display monitor is very well made and has a lot of features. 3 years’ warranty helps to ensure the quality of the product. Good for tall people who are more than the height of 6 feet. Assembling the product can be quite a task with the instruction manual written in German and hard-to-decipher English. The manufacturers said that assembling this product can take up to 45 minutes but many customers reported the time to be 2 hours. To avoid accidents, The device has the handlebars but they are still very much slippery around the edges. It is best to row wearing sports gloves to counter slipping. The company has its own reputation to protect and has delivered a nice rower to our doorsteps. The rower helps people to keep in shape. It requires little maintenance to be at its best. With a little care and a maintained exercise routine, you can use the rower for years to come without a hitch.